Hiding the left hand navigation bar in SharePoint 2013 proved a little tricker than I expected. My initial attempt to hide the navigation using CSS was to hide #sideNavBox. However, I found this had the side effect of hiding the search refiners on /_layouts/15/osssearchresults.aspx. I settled on hiding .ms-core-sideNavBox-removeLeftMargin as this doesn’t appear to have any side effects. This entry was posted in SharePoint and tagged Cascading Style Sheets, CSS, Microsoft SharePoint, Navigation bar, SharePoint 2013, Style Sheets on September 27, 2013 by richardstk. 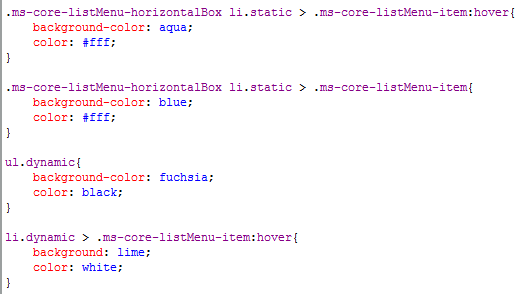 This is a quick post to show the CSS I used to style the global navigation / top navigation in SharePoint 2013. I’ve used bright and different colours to make each CSS section easy to identify. The top level is in blue, when you hover over a link it changes to aqua. Hovering over a drop down item changes it to lime. By default SharePoint wraps the menu item text, producing a result as below. In order to ensure all each menu item is displayed on one line I had to update ul.dynamic as below, using min-width, white-space: no wrap and word-wrap: normal. This entry was posted in SharePoint and tagged Cascading Style Sheets, CSS, Microsoft SharePoint, SharePoint 2013 on September 26, 2013 by richardstk. This is part 5, part 1 can be found here, part 2 here, part 3 here and part 4 here. Once the databases have been upgraded you can upgrade individual site collections. You will see the notification bar at the top of the site with the option Start now or Remind me later. Before beginning the site collection upgrade run health checks from Site Settings -> Site Collection Administration -> Site collection health checks. On the run site collection health checks page, click Start checks. After reviewing the health check results begin the site collection upgrade. From the Site Settings page, click Site collection upgrade beneath Site Collection Administration. On the following page, click Upgrade this Site Collection. Once the upgrade has completed verify the upgrade from the Upgrade status page. Go to Site Settings -> Site Collection Administration -> Site collection upgrade. On this page click Review Site Collection Upgrade Status. Finally, review everything is working and looks as you’d expect. Grant the default content access account the “Retrieve People Data for Search Crawlers” permission for the User Profile Service application. This entry was posted in SharePoint and tagged Microsoft SharePoint, SharePoint 2010, SharePoint 2013, Upgrade on September 23, 2013 by richardstk. This is part 4, part 1 can be found here, part 2 here, part 3 here and part 5 here. The SharePoint 2010 web application is configured to use Windows authentication, but Claims based authentication is required to enable the advanced functionality of SharePoint 2013. Check the authentication provider that’s in use from Central Administration -> Manage web applications. Click on the web application, then select Authentication Providers from the ribbon. I used the process described here to convert a SharePoint 2010 classic mode web application to SharePoint 2013 claims based authentication. You start by creating the web application using PowerShell, then once the SharePoint 2010 databases have been mounted using the command below, you use PowerShell to convert the web application to claims based authentication. Use SQL Server Management Studio to restore the SharePoint 2010 content and My Site databases. Reapply customisations web parts and web.config changes. Use Mount-SPContentDatabase to attach the restored database into the web application you just created. Repeat the process for the My Sites database. Verify the database upgrade status in Central Administration -> Upgrade and Migration -> check upgrade status. Verify sites as working correctly in SharePoint 2010 mode. Configure search and perform a full crawl. This is part 3, part 1 can be found here, part 2 here, part 3 here, part 4 here and part 5 here. To upgrade a service application you create a new instance of the service application and point it at the database you restored in part 2. When the service application is created the database is upgraded. Open Central Administration -> Application Management -> Service Applications -> Manage Services on Server. Start any of the following Service Applications you’re going to use: Business Data Connectivity Service, Managed Metadata Web Service, PerformancePoint Services service, Secure Store Service and User Profile Service. 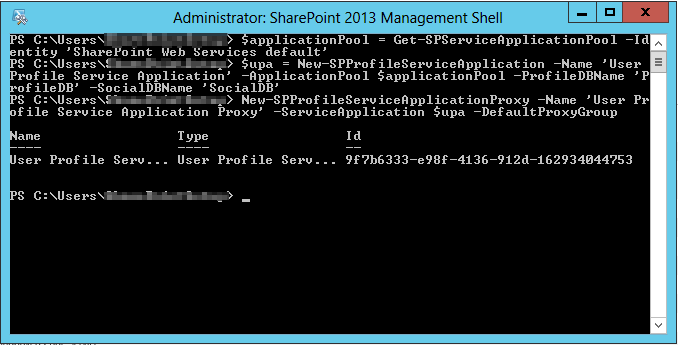 If upgrading the Search service, this must be done using the SharePoint 2013 Management Shell. See http://technet.microsoft.com/en-us/library/jj839719.aspx for information on upgrading the various service applications. I only need to upgrade the Managed Metadata and User Profile service applications. Below is a screenshot having followed the instructions to upgrade the Managed Metadata service application. To upgrade the User Profile service application flow the steps here http://technet.microsoft.com/en-us/library/jj839719.aspx . Ensure the account you use to run the User Profile synchronization service has the correct permissions as they aren’t mentioned in the upgrade article. Check this article for the account permissions required for the User Profile synchronization service http://technet.microsoft.com/en-us/library/ee721049.aspx. UserProfileApplication.SynchronizeMIIS: Begin setup for ‘User Profile Service Application’. ILM Configuration: The miissku.exe process exited with error code -2146893813. Error: . ILM Configuration: The ValidateMiisEncryptionKey process returned False. UserProfileApplication.SynchronizeMIIS: Failed to configure MIIS pre database, will attempt during next rerun. Exception: System.NullReferenceException: Object reference not set to an instance of an object. UserProfileApplication.SynchronizeMIIS: End setup for ‘User Profile Service Application’. I ended up upgrading the profile and social databases, but created a new sync database. I did this by omitting “-SyncDB %DBName%” from the New-SPProfileServiceApplication command, see below. This entry was posted in SharePoint and tagged Central Administration, Microsoft SharePoint, SharePoint 2013, Upgrade, User profile on September 23, 2013 by richardstk. This is part 2, part 1 can be found here, part 2 here, part 3 here, part 4 here and part 5 here. As this is a test upgrade, don’t set the databases to read-only. Backup all the SharePoint 2010 content databases and the databases for any service applications you’re going to upgrade. See part 1 for upgradeable service applications. 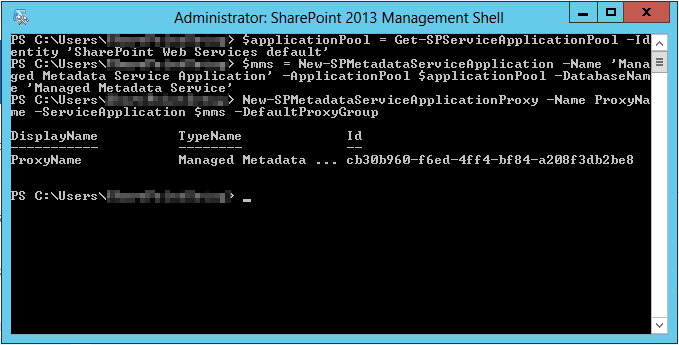 Copy the SharePoint 2010 database backups to the SharePoint 2013 SQL server. Restore the SharePoint 2010 database backups on the SharePoint 2013 SQL server. If upgrading SQL server versions, change the database compatibility level to match the new SQL server version. This entry was posted in SharePoint and tagged Microsoft, Microsoft SharePoint, SharePoint, SharePoint 2010, Upgrade on September 20, 2013 by richardstk.